All the comfort of a 2-star hotel at a great price! 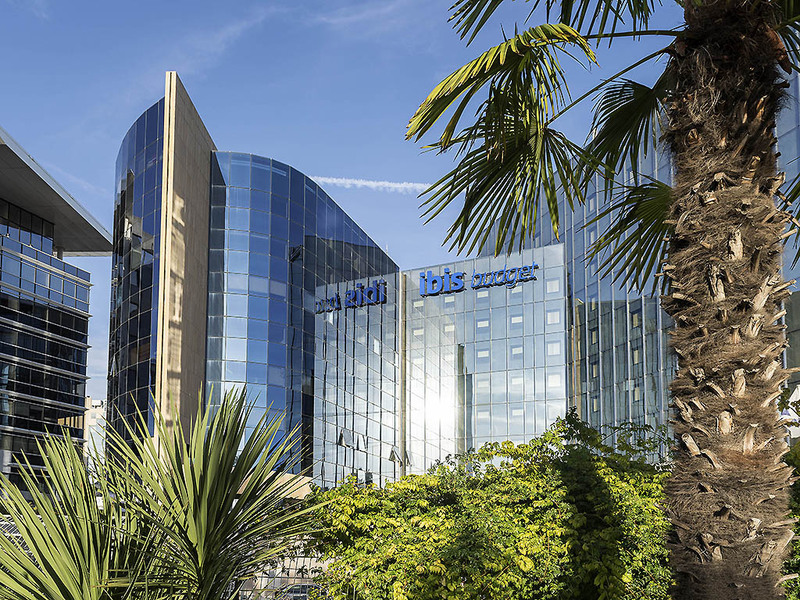 The ibis budget Nice Aéroport "Quartier Arenas" hotel is close to the airport, opposite terminal 1, at the top of the Promenade des Anglais. 151 comfortable air-conditioned rooms for up to 3 people. Free WIFI in the lobby and the rooms, personalized welcome 24 hours a day (the hotel does not close), buffet breakfast from 6am to 10:30am. Discounts for the public paying car park opposite the hotel. Free airport shuttle 328 yards (300 m) away.